Rideshare driving and smartphones go hand in hand. And, today’s drivers have no shortage of app options. Today, we’ll be sharing the most popular apps on the market for drivers, as well as some hidden gems. We’ve scouted out 15 of the best apps for rideshare drivers which you can take on the road, covering everything from mileage and productivity to weather and entertainment. Read on to find your new favorites. For quick navigation, we’ve divided out the apps into separate chunks for your viewing pleasure. Mystro is the go-to app for individuals driving for more than one company. Rather than distractedly switching between apps, Mystro can manage your rides in one place. The app also lets you filter riders based on surge times, trip distance, pickup time, and rider rating. Mystro helps to eliminate simultaneous trip requests easily and set timers for activation delays as well. The app, currently available for Android users, is in development for iOS users now. After a 30-day free trial, you can purchase Mystro for $11.95 a month or $99.95 a year. While you may primarily rely on the Uber partner app, use the Uber passenger app to assess the competition. If the map display shows a mass of drivers in your area, your chances of a pickup are low. Use the app to search other locations simply by dragging on the map, then set out for a more profitable area. If you’re a rideshare driver who prefers spontaneous, higher-earning drives to more conventional and potentially less lucrative ones, then Surge may be the app for you. Surge’s basic package is free in the Apple app store, with a premium package available for $4.99 a month. With ever-changing traffic conditions and endless routing possibilities, even the savviest drivers need navigational assistance. Most users are familiar with the basic features of these apps, like voice navigation, 3D maps, and ETAs. Here’s what you need to know about the most highly reviewed and rideshare approved mapping apps. While Apple’s navigation app may not have always been the preferred choice of every iOS user, its continuing improvements have put it on the map. Apple Maps provides alternate routes for bypassing heavy traffic on the go. With the iOS11 update, its turn-by-turn voice directions and on-screen map guide the driver to the correct lane. Perhaps most relevant to rideshare drivers is Apple Maps’ unique third-party extensions, which allow riders to book and pay for Uber and Lyft within the application. With a user-friendly interface and very few glitches, customers mainly complain that Apple Maps’ routes and travel times are less efficient and timely than services like Google and Waze. A tried and true favorite navigation app among drivers, Google Maps provides users with a similar experience to Apple Maps, including lane direction and optional rerouting. Available for both Android and iOS users, Google Maps holds a solid 4.7 in the iTunes App Store, with over one million reviews. Google’s popularity stems from its quick, accurate routing, easy-to-follow directions, and on-screen viewpoints, but also from its evolving features. Google Maps now estimates parking availability at your destination. This notification benefits drivers with scheduling and encourages busy potential riders to skip the hassle of driving and book a ride with you instead. Perhaps the one shortfall of Google Maps in comparison with Apple is its lack of Uber integration, a feature Google removed in the last year. Compared with Google Maps or Apple, Waze is more concerned with driving than suggesting businesses or vendors near you. In addition to having celebrity voice navigation and frequent destination recall, Waze is the only socially integrated app out of the top three mapping apps. What do we mean by socially integrated? Waze uses live traffic updates from users, sends live ETA updates to your friends, and shares where police officers have been recently spotted on your route. One negative aspect of Waze is its use of ads. While they primarily appear at stops, they can be a distraction to drivers. This site is ideal for busy rideshare drivers who need to reroute in the area of an accident or from heavily trafficked highways. Flightstats is another excellent tool for drivers looking to maximize profits, helping you determine when to hit the airport. The fact-filled app is teeming with information including a flight tracker, current conditions, and delays. Beyond these free services, Flightstats offers a $2.99 monthly plan that removes ads and includes departure and arrival times, as well as flight alerts. With the premium plan, drivers can use flight times and delays to pick up some travelers, save time, and earn more. While navigation apps may be the most critical to a driver, anyone who has been caught in a downpour or broken down on the side of the road can attest that these apps matter. The most highly reviewed weather app across all platforms, the Weather Channel app provides hourly, daily, and weekly forecasts. It can also push notifications on dangerous weather alerts and features up-to-date and future radars. The app is free of cost and available for download for both iOS and Android users. Whether a pothole wrecks a tire or one’s keys get locked in the car between rides, all drivers need roadside assistance at some point. Rather than frantically Googling all the services in your area, consider downloading the Honk App, available for both iOS and Android download. Honk connects you with one of its thousands of partners, allowing you to place an order for their service, free of charge. Just enter your information in the app, and a professional will be on the way to assist. Fees are only applied after you’ve received service and are verified with a receipt of purchase. You should look no further than Quick Books Self Employed for all your expense-tracking needs. After a 30-day free trial period, Quick Books Self Employed costs $10 a month, but with regular promotions, you may end up snagging the plan for $5 a month or less. With Quick Books, you can take your driving business to the next level and have a stress-free tax season. 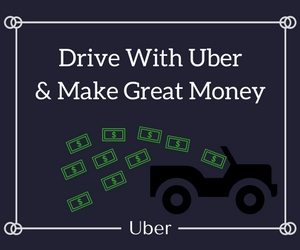 Earnin (formerly known as ActiveHours) is an incredibly practical tool for managing your Uber earnings. Once you download the app and enter the info above, you’re all set to take out your Uber earnings on the day you get them. When payday rolls around, Earnin deducts the amount you requested from your account. It’s a simple and free way to use your money as soon as you make it. As its name suggests, Gas Buddy can be your best friend when driving. Just add your location then filter by type of gas, and you’ll see the best gas prices in your area. You can save money nearly effortlessly when you download Gas Buddy. Once you’ve downloaded and installed the app, Mile IQ runs itself, so there’s no need to worry about starting and ending your trips. Simply swipe left or right for business or personal rides, respectively. Mile IQ then records your mileage and categorizes it for tax time. Snapshots and reports are available from the app, with more extensive data on the site. The Basic plan, which is free, allows you 40 drives a month. The Monthly plan is available for $5.99 a month. The Annual Plan is $4.99 a month. The ridesharing experience should be an enjoyable one for both the driver and the passenger. Entertainment can lighten the mood and add some fun to what could otherwise be a mundane trip. Read on for a few of our picks for entertaining your car. When it comes to music apps, Spotify takes the prize, especially for drivers. Why is it the obvious choice for music? Spotify functions as both radio and music library. As a user, you can build custom playlists, listen to specific artists and albums, hear stations and playlists curated by Spotify for you, and music from other listeners. That functionality allows for endless music options and easy changes behind the wheel. One of its best features is that it’s free. With the basic Spotify plan, you can select albums, artists, stations, or playlists with an allotment of skips per hour. For $10 a month, premium users can download unlimited music to their devices, allowing for offline listening. Ads are also removed in premium, and listeners can play any song at any time. One of the best features of Spotify premium is its 2018 hands-free release, which uses voice commands to play specific artists or songs. Whether you choose to purchase a premium plan or remain a free user, Spotify allows you to customize, collaborate, and hear music made for you. This start-up is built on a fascinating concept: Providing entertaining ads for riders and increasing income for drivers. Signing up with Vugo is simple. After downloading the app, currently only available from Google Play, you simply mount a smartphone or tablet visibly in your vehicle. With both Waze and Google Maps integrated, you can choose your favorite navigation to guide you. The device then directs you to your rider’s destination while showing games, videos, and other forms entertainment. Vugo claims drivers can earn between $50 and $200 more than traditional drivers monthly with the app. There’s also a tipping app on screen. All in all, Vugo may be a lucrative option if you’re looking to earn a bit more cash with fewer rides. Detour is another excellent way to entertain your riders, especially travelers. Picking up a tourist or traveler is a common occurrence in the ridesharing business. As you share your city with new guests, why not entertain and educate them on all the area has to offer? Explore the world’s most fascinating places with the people who know them best. If your passengers are interested, play the tours as you drive and share the city’s history for an intriguing cultural experience. What if you could entertain your passengers, get tipped more, and get paid by some of the apps you run (like Vugo), all with the purchase of a tablet? Rather than using your own data to delight your riders, grab an affordable tablet from Amazon. Download the apps above and any other favorite streaming apps, and encourage your passengers to connect with their own wifi. You’ll keep your clients happy and profit more in the long run. Whether you’re driving for Postmates or Juno, Uber or Lyft, there are apps on the market that can make your experience more seamless, lucrative, and fun. If you haven’t already, give the apps above a try and see how your business grows.